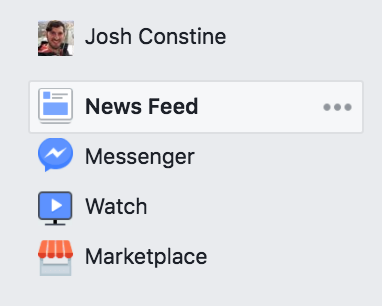 Today Facebook officially opened its new Watch tab of original video content to everyone in the U.S. after a limited rollout a month ago and expansion to some more users last week. Available on Facebook’s native mobile apps, desktop site, and TV apps, Watch lets users subscribe to their favorite series instead of just haphazardly stumbling upon one-off videos in the News Feed. U.S. users will now see the TV icon in the mobile navigation bar and desktop site bookmarks. Meanwhile, Facebook is trying to ensure that user generated videos don’t get taken down for including music owned by the major record labels. Bloomberg reports Facebook is offering the labels hundreds of millions of dollars for a deal that would let infringing videos stay up, rather than be removed to the great annoyance of users. Facebook had planned to build out a YouTube Content ID-style system so labels could detect uses of their music and claim a cut of monetization from then instead of just issuing blunt takedown notices. But Bloomberg says that system could take up to two years to build, and Facebook is willing to pay now to stop the takedowns. Facebook is offering a range of different options for discovering video content, including a carousel of featured programs, and sections like “Today’s Spotlight”, “New This Week”, “Popular Now”, “What Friends Are Watching”, “Most Talked About”, “Suggested For You”, and a special “10 Minutes Or More” spot for long-form videos. For now, Facebook is primarily highlighting reality shows, which partners are producing en masse since they’re cheap, don’t require set scripts, and can be watched piece-meal. But to really seduce audiences who frequent YouTube, Netflix, and cable TV, Facebook will need high quality scripted comedies and dramas. One of the first signs of this content is the sci-fi short film ‘Lost Memories’ by independent filmmaker Francois Ferracci about a future “over-saturated by holograms”. Beyond that, its current offering isn’t very appealing, as the shows lack stars, big budgets, or cliff-hangers. But if you’re the type to just turn on the Discovery Channel and lay back on the couch, you might find some fun time-wasters on Facebook Watch.